Portion sizes have gotten larger, and so have our stomachs. The portion plate model is one of the easiest methods to follow. We can't lie to ourselves anymore: as a nation we are getting fatter and fatter. What we're eating is part of the problem, but how much we're eating is also adding to this epidemic. And this isn't just our fault. Fast food and restaurant serving sizes are literally out of control. One serving of Chinese takeout contains up to four appropriate portions (it's amazing how small those takeaway containers look), and that easily demolishable pizza is much too large for one sitting. It's no surprise then that we transfer these portion sizes to our food we make at home. We use large plates and fill them completely, so those steak and chips we have are twice as large as needed. 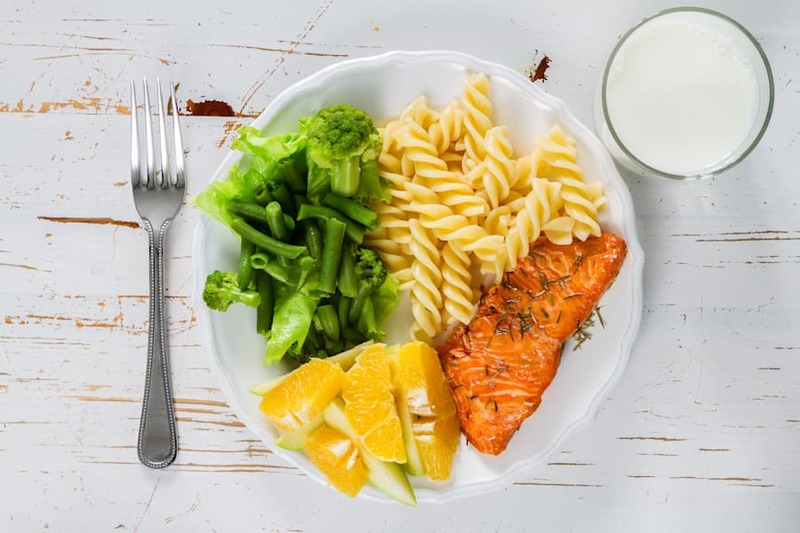 To help us with portion control and get to the root of the problem, The Huffington Post Australia asked three health experts for their easy tips and tricks for correct portion sizes. 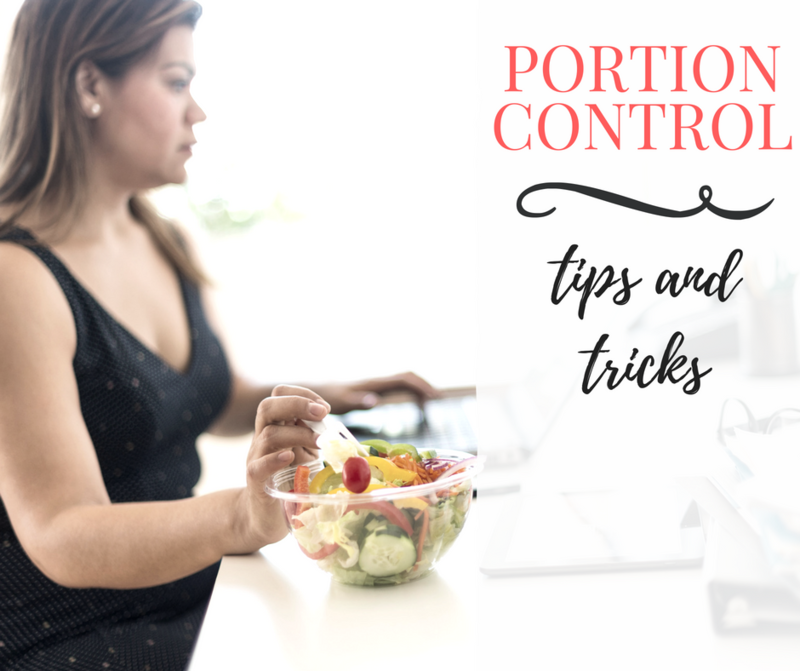 "Portion control is an important aspect to anyone's diet, and determining if you are eating too much is a good start to any weight loss regime," nutritionist Pip Reed told HuffPost Australia. "When we overeat our stomach capacity stretches and eventually (and quickly) becomes used to eating more -- in fact, it expects it. Eating more leads to training your body to consume and expect excess calories which it can't use, inadvertently leading to weight gain as the excess energy is stored as fat." 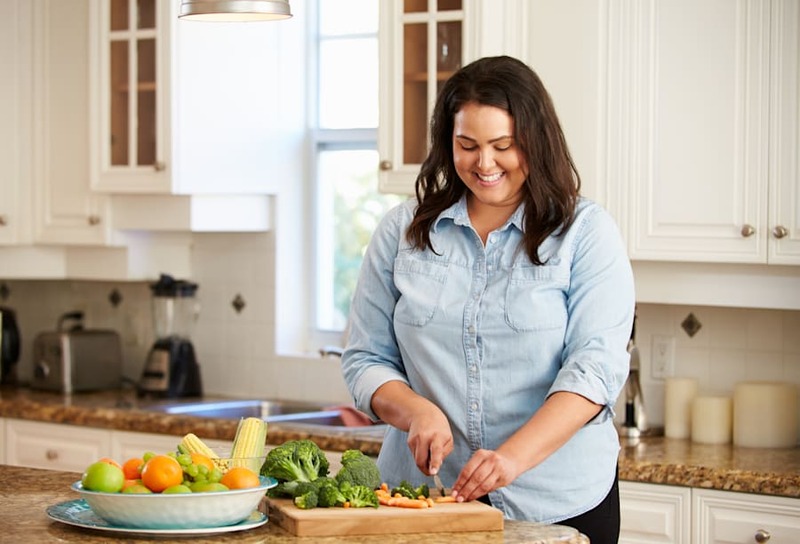 According to accredited practising dietitian, Jemma O'Hanlon, one of the first things to do if you are overweight and don't know where to start in terms of losing weight, is to look at your plate. "The first step would be to take a look at the size of the plates you're eating off," O'Hanlon told HuffPost Australia. "Many of us were taught to finish what's on our plates, and because plate sizes have increased over time, we're eating a lot more. If we eat off smaller plates, we'll eat less." "Start by reducing the size of the plate you use for serving as we eat first with our eyes, and this is an easy way to trick your brain into thinking it is having enough," Reed added. If in doubt, always add veggies as they're low calorie yet nutrient dense. If you think you eat enough veggies a day, you probably don't: 96 percent of Australians don't reach their daily serve of fruit and vegetables. To help you control your portion (and reach your recommended serving of two serves of fruit and five serves of veg), O'Hanlon and nutritionist Zoe Bingley-Pullin recommend using the portion plate model. 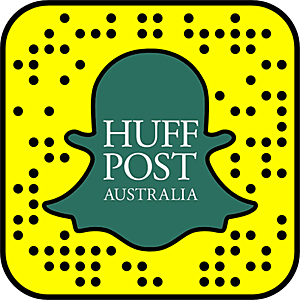 "Stick within this framework until you start getting used to eating in this manner," Bingley-Pullin told HuffPost Australia. 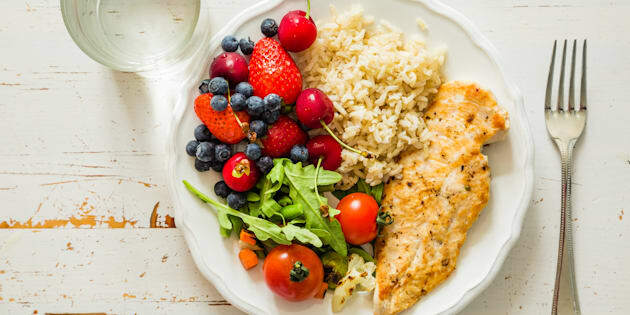 "When it comes to lunch and dinner, the best guide is to fill your plate half with non-starchy veggies or salad, one-quarter with whole grains and one-quarter with lean meats or alternatives," O'Hanlon said. "Non-starchy veggies such as carrots, broccoli, capsicum, zucchini, eggplant, green beans and cauliflower are a fantastic source of vitamins, minerals and dietary fibre and help fill us up with very little kilojoules. "If you want to reduce your portions without feeling deprived, the best advice I can give is to always top up your plate with non-starchy veggies." Once you get the basic portion ratios, feel free to mix it up and combine elements, such as a stir fry. 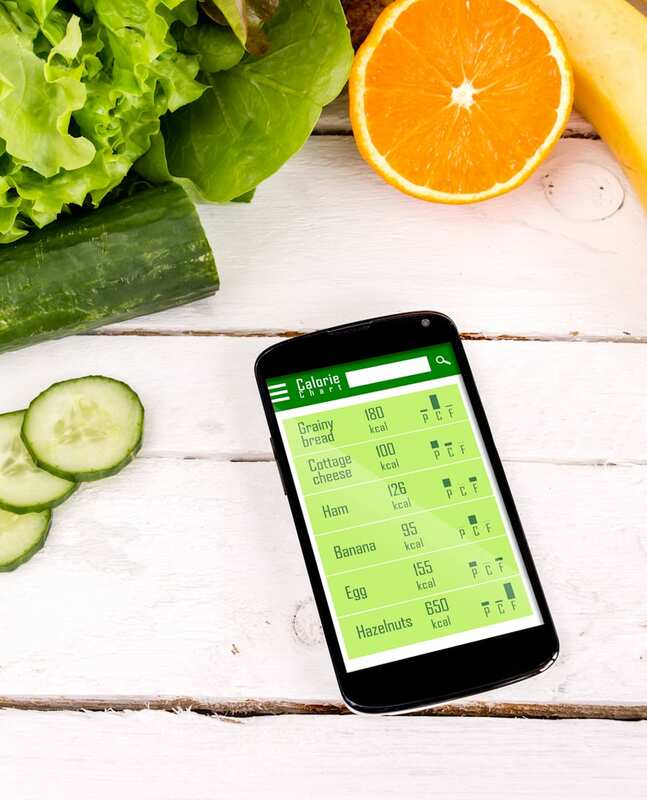 Keeping note of what and when you eat can help you get a broader view of your diet, and help get your portion sizes and food timing in check. "Start a food diary to see what, when and how much you are eating," Reed said. "Be very honest as it's the best way to look over your diet and assess where you can make changes." When we mindlessly eat, we tend to consume more food and not feel satisfied once we have finished. Mindful eating helps you to slow down, enjoy your food and feel more full. "Focus on your food -- not in front the computer or at your desk where you are thinking about something else and have suddenly consumed your entire week's worth of lunch in one sitting," Reed said. "Try to stop when you're 80 percent full. You can assess this by eating mindfully, chewing each mouthful thoroughly and putting your fork down in between mouthfuls. "This will allow your body to catch up to your brain and recognise when you are satisfied, instead of eating quickly and realising when it's too late that you are full." 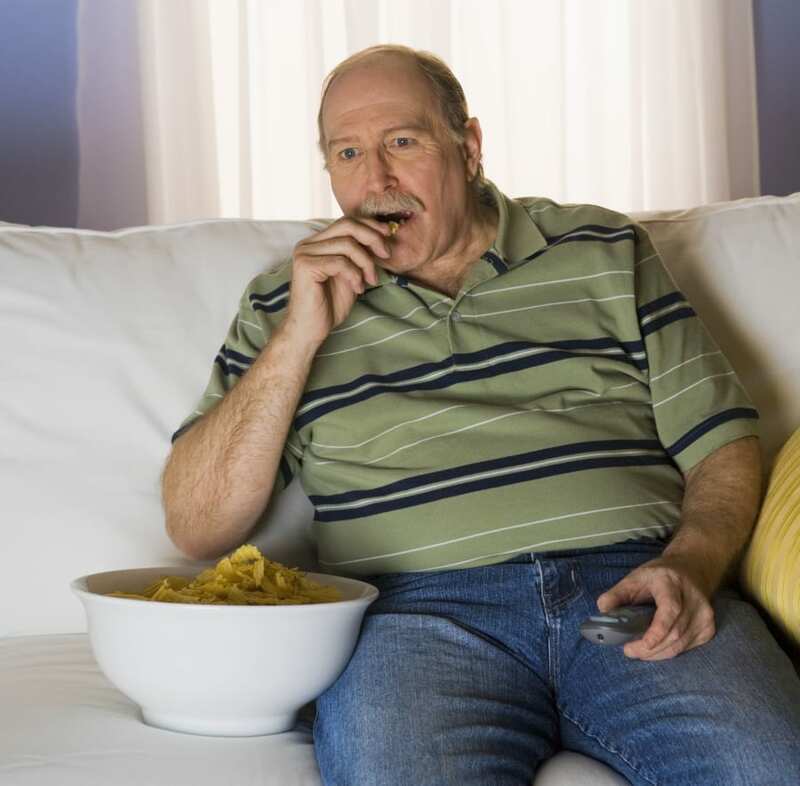 Watching TV while eating is a typical example of mindless eating. It's easy to overeat when it comes to snacks, especially if processed foods like doughnuts, biscuits and chips are your snack of choice. To help keep the portion size appropriate and to encourage healthy snacking, Bingley-Pullin recommends preparing and pre-portioning snacks. "Portion snacks into separate containers and avoid eating from packets," she said. Use a measuring cup to measure cereals -- it's very easy to overestimate your needs, especially when hungry. Don't eat/nibble on your food when prepping it -- wait until you sit down to eat. Plate up a serve and put leftovers away straight away to avoid temptation. Have a plan of what food you will be eating at each meal and snack -- this helps to avoid last minute panic and overeating. Eat with a friend -- chatting and socialising while eating allows you to take a break between mouthfuls to chat and can naturally decrease how much you eat as it gives your body the chance to recognise when it is full. Drink a glass of water before meals and snacks to allow your body to recognise if it's dehydrated or actually hungry. Divide your food portions -- put only half your lunch on a plate and the rest in the fridge (not in front of you). If you're still hungry after 20 minutes-1 hour go back for more. While some people find using their hands best for controlling portions, others prefer using eyes or scales. Find what works for you and your lifestyle. "It definitely comes down to the individual and if it's causing stress, it should not be followed," Bingley-Pullin said. "If you have been through a period of overeating and are looking to cut back, using measuring cups or scales can be useful to get back on track and recognise what a suitable portion is." However, Reed recommends using cups and scales as an initial guide, and to not be too strict or obsessive. "If portion control really is a contributing factor into why you aren't losing weight, then using instruments to measure food and eye or plate tricks really can work," she said. "I don't recommend regularly weighing every food item and calculating your calorie consumption as it can lead to obsession, but doing it for a few days to determine if you do have a problem with overeating can certainly help." "In the long term we should be guided by our own intuition and hunger. Aim to serve our food in a more mindful and less mechanical way," Bingley-Pullin added. Keeping track of your food can be helpful to begin with, but not for the long term. If you feel overwhelmed and don't know where to start, or if portion control isn't working for you, get in touch with a health professional to help you. "It's very important to determine what works for you, and there is a lot involved in weight loss outside of what you are eating and how much exercise you are doing," Reed said. "If you find you still struggle with portion control and overeating despite implementing tricks and using mindful eating techniques, it is important to consult a qualified practitioner who can help determine if something on a deeper level is going on, such as hormone imbalances, high stress causing cravings, histamine imbalances which can lead to binge eating." "Everyone learns in different ways, some people love to be guided by numbers and figures, and others prefer to be guided by visual cues. Accredited practising dietitians have many ways of helping people manage their portions, so for tailored advice, I would always recommend seeing an APD," O'Hanlon said.